A dream of many Boxer fans is coming true: BMW Motorcycles has presented a truly uncompromising, sporting and exceptionally light enduro – the new BMW HP2, a Boxer built for the off-road enthusiast and the most demanding tracks in the world. Purist, but nevertheless stylish and perfectly equipped with the finest, carefully considered features, the BMW HP2 has everything it takes for unrestricted riding pleasure off the beaten track and is perfect as the “basic” machine for amateur enduro motorsport. 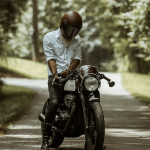 More than any other motorcycle, the HP2 capitalizes in full on rough terrain on the benefits of the Boxer concept with its low centre of gravity. But at the same time the HP2, with its almost playful handling, low weight, and high-performance power unit, offers supreme riding pleasure also on the road. So considering the many options it offers the rider, the HP2 is the most powerful and by far the best off-road Boxer of all times. 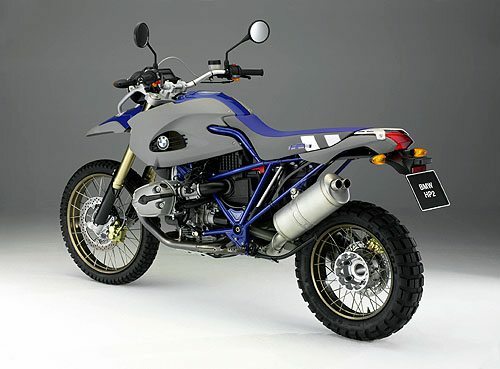 This brand-new model from BMW Motorcycles was developed by a small but highly dedicated team of specialists, engineers and mechanics fully committed to the Boxer and also dedicated in their private lives to off-road motorsport, working beyond the usual processes of series development under the simple and straightforward motto that “only an enthusiastic professional can offer another enthusiastic professional what he really wants”. 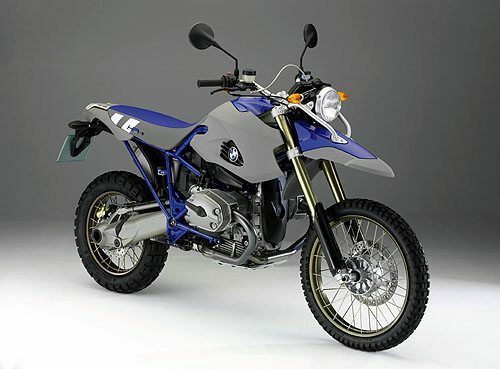 In technical terms the BMW HP2 is based on the R 1200 GS. But tailored in every respect to the needs and preferences of the ambitious enduro rider, the HP2 is a completely independent, truly exceptional motorcycle. The all-new lightweight suspension is based on ample experience gained by BMW in marathon rallies, with an air/spring/damper system on the rear wheel proudly entering the world of motorcycling as a world-first achievement. The engine itself has been optimized for minimum weight and the entire drivetrain laid out specifically for off-road use. Consistent lightweight engineering was indeed the name of the game with all the components of the new HP2. 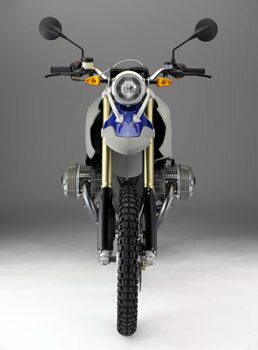 As a result, overall weight of the motorcycle in road trim remains below the 200-kilo “sound barrier”, with curb weight according to the DIN standard of 195 kg or 430 lb. Dry weight, in turn, is a mere 175 kilos or 386 lb. In conjunction with the new machine’s perfect ergonomics, this guarantees supreme agility and easy control even on the toughest terrain. And combined with the low centre of gravity of the Boxer engine, unparalleled smoothness and powerful acceleration from the lowest engine speeds, as well as the motorcycle’s excellent balance, the HP2 is in many cases superior to even the toughest single-cylinder competitors on difficult, slow trial tracks. The superior performance and riding stability of an enduro Boxer on fast sections of off-road terrain, in turn, are obviously beyond the slightest doubt. To highlight the sporting enduro qualities of the new HP2, BMW Motorcycles supports and manages a private racing team which will be entering the HP2 in various off-road events such as the German Cross Country Championship (GCC). And the rider starring in the BMW Motorcycles team for the GCC will be last year’s winner of precisely this series, Finnish motorcycle crack Simo Kirssi. Outside of Germany, the HP2 will be entering both the Baja 500 and the Baja 1000 in California, and there are plans to participate in the prologue of the Erzberg Race in Austria. BMW Motorcycles is supporting private teams in these cases with the right kind of service, and naturally provides the motorcycles themselves. The market launch of the HP2 will be in autumn 2005 worldwide.